2016 is an exciting time for Pakistani Cinema with a record number of films set to release and many more in production. It seems like the much talked about revival finally seems to be taking place and the future is bright. But how did this all happen? Almost everyone agrees that this new wave of cinema succeeded primarily because it brought with itself new talent and it is this injection of new blood in the dying industry that brought the desired results. Moreover complimenting this new talent were many University students and Media Societies giving budding filmmakers, actors and technicians a chance to showcase their talent and to polish their skills via mentor ship from industry veterans. Today at Galaxy Lollywood we are celebrating one such university and its media arts society who has undoubtedly played a pivotal role in promoting Pakistani Cinema. From their Film Festival FiLUMS which holds the distinction of being the first and biggest student run film festival of Pakistan, to the countless short films, feature films and documentaries this society has made. Yes, we are taking about the LUMS Media Arts Society of the Lahore University of Management Sciences which also happens to be the alma mater of Galaxy Lollywood co-founder Momin Ali Munshi. To know more about the society we decided to talk to Zoha Zahid who is the Assistant Director for Promotions at LMA. Here is what she told us about the society. “The Lums Media Arts Society, better known as LMA, is one of the largest and most eventful societies at LUMS which realizes the ever growing importance of media as a powerful channel for human expression and aims to inspire anyone with a passion towards art. From its inception, LMA has been involved in varied media ventures, mainly focusing on film-making and serves as a platform for those interested in producing/directing films. LMA seeks to become the primary outlet for students who want to express themselves in different forms and polish their skills thereby streamlining their creative zeal towards meaningful end products. Apart from the production of films, LMA organizes and hosts various events that highlight the importance of media and serve as outlets for innovative and productive activities. The main events are FiLUMS,LUMS Movie Trivia, Film Realm etc. LMA is dedicated to promoting creativity via the different forms of media available to us today. Alongside many others, one of our biggest events each year is FiLUMS, The Lums Film Festival, also the only one of its grandeur in Pakistan. 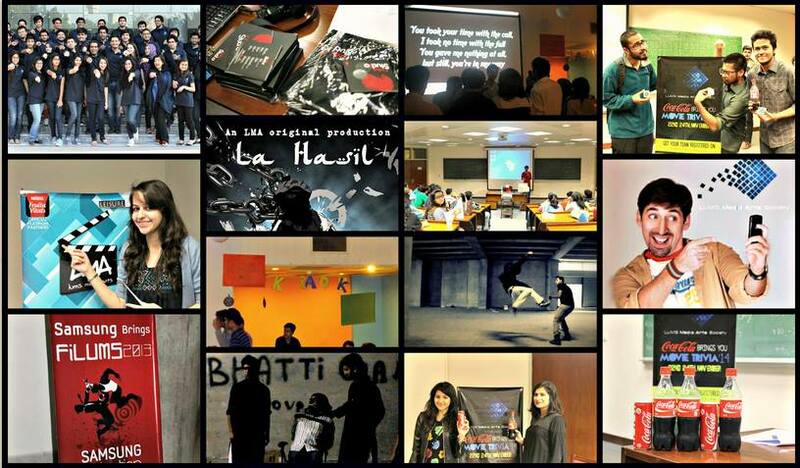 At FiLUMS, we gather amateur and professional filmmakers from all over Pakistan and give them the platform to express their creativity by showcasing their projects in LUMS. FiLUMS hopes to give the film-making industry of Pakistan a much needed resuscitation by serving as a ground for young upcoming filmmakers, whom, we hope, will bring about a thorough and effective revival of the Pakistani cinema. Here, amateurs and experts come together to create an event that paves way for learning, inspiration, progress and constructive criticism – creating a space where new ideas are sown and old ones nourished, and with this, FiLUMS continues to grow at a phenomenal rate. Usually, FiLUMS takes place in February/March; however, this year it will take place in November and the team is very enthusiastically looking forward to being introduced to and discovering new talents of our country, as done so each year. Different workshops and screenings of films that the participants have created take place and are divided into various categories, followed by the awards night. Not only are these events attended by the leading universities and schools of the country and many talented individuals, but they also receive immense media coverage and celebrity attention. 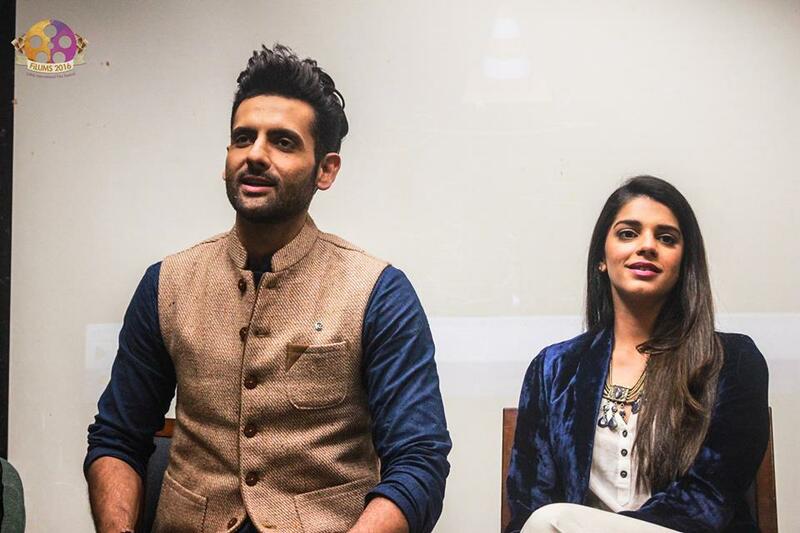 At FiLums’16, we had the opportunity to invite celebrities and industry stalwarts like Mohib Mirza, Sanam Saeed , Bilal Lashari , Nadeem Mandviwalla among others to give special workshops for participants interested in their work. Now isnt this all exciting? To know more about the society and the film festival check out the links below. Oh and did we mention that Bilal Lashari was the founder of this society? we are planing for film industry talent church or hunt with standard attainment for talent.